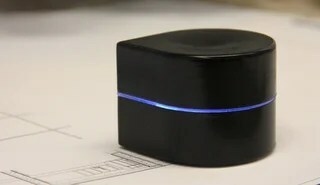 With what has to be one of the most ambitious Kickstarter projects to come along in a while, the folks behind this Mini Mobile Robotic Printer want to revolutionize the mobile office. Because of instead of carrying a page-wide device that has to pull paper through it, this little marvel will instead print directly on a piece of paper while it rolls around on top of it. The printer’s arrow-shaped design makes it easy to properly position on a page—you just need to make sure it starts in the upper left-hand corner of a piece of paper. It works on any sized piece of paper, but with a standard letter-sized sheet the current prototype can fill a page in just under a minute. Its built-in ink cartridge is promised to churn though around 1,000 pages before needing to be replaced, but that’s assuming every page you print isn’t solid black. 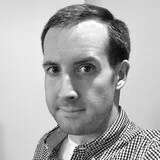 And at the moment the print quality is a less-than-amazing 96×192 dpi, but it’s claimed that that will be improved if and when the Mini Mobile Robotic Printer becomes a reality. Its creators are currently trying to raise $400,000 on Kickstarter to make it a reality, but there are certainly some very steep roadblocks to making it reliable and accurate enough to be worth carrying around. You can reserve one for yourself with a donation of $180, but you’ll have to be patient since delivery isn’t expected until early January 2015 at best.